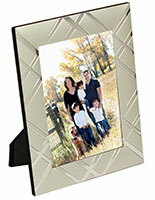 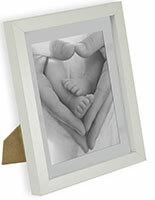 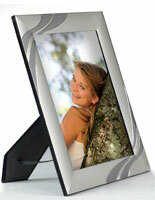 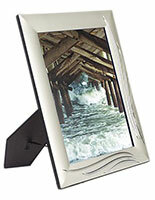 These decorative silver photo frames are designed for 5" x 7" countertop picture or image displays. 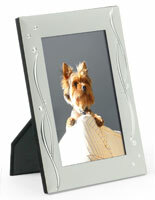 Each elegant holder is made from lightweight aluminum metal and features stylish abstract border detailing. 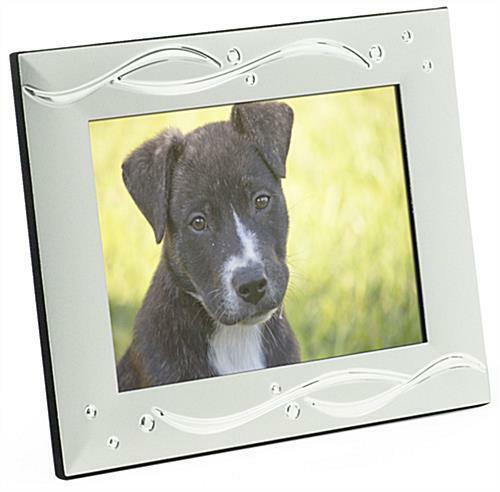 The decorated photo frames' reflective metal accents complement any picture or artwork and are perfectly suited for residential or business image display. 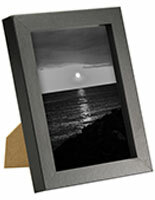 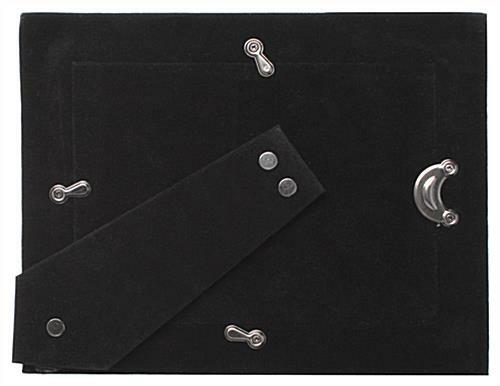 A black velvet-look easel backer offers easy clip-style photograph insertion and can be used in portrait or landscape orientation. 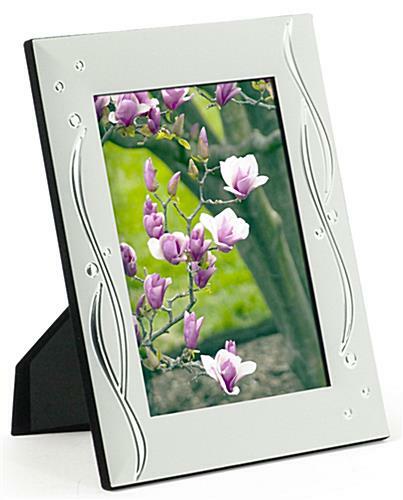 These versatile photo frames with elegant swirl detail on the framing border are an ideal way to showcase treasured photographs or artwork and are also well suited to use as point of purchase advertising on counters or desks or as gifts. 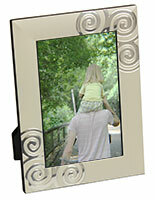 Eye catching picture framing like this elegant aluminum holder is a great way to draw attention. 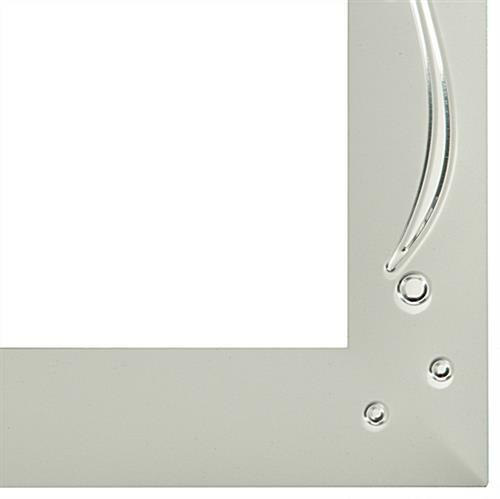 7.3" x 9.3" x 0.5"